Children's Maxi Poster: Bring all your favourite DC Comic book heroes together with this excellent comic book style maxi poster featuring the epic Justice League of America. 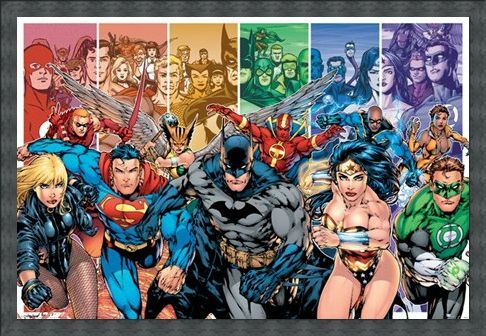 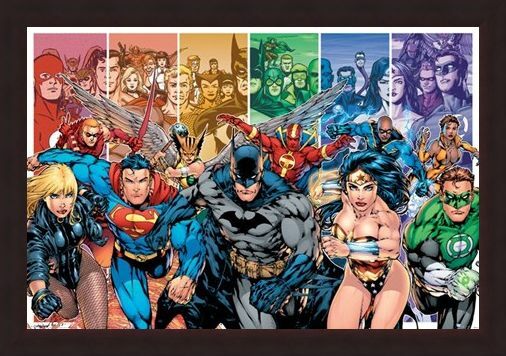 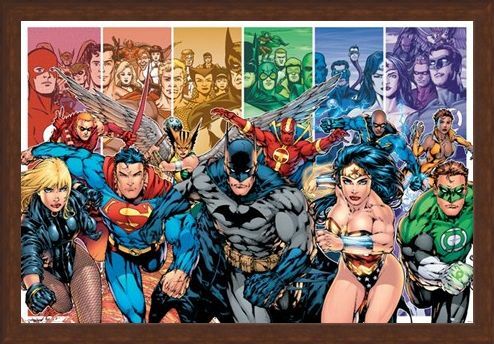 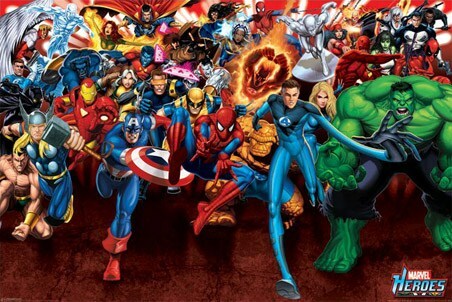 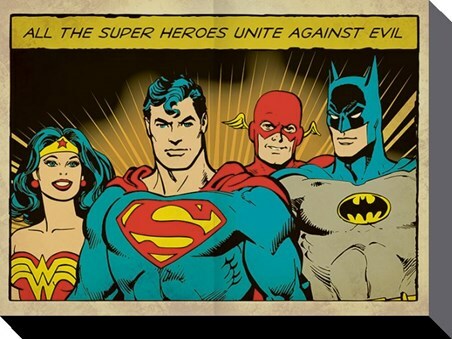 Made up of some of the most powerful super heroes ever to have been created including Superman, Batman, Wonder Woman and Green Lantern, you will always have the good guys on your side once you hang this colourful poster on your wall. 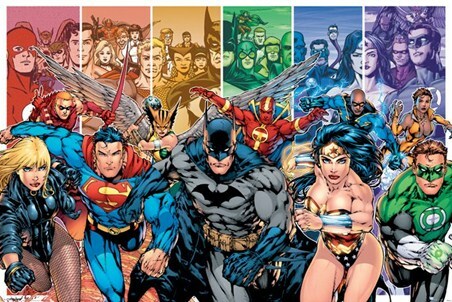 The main characters of the DC franchise are at the forefront of the action while the background is made up of a colourful montage of action packed adventure. 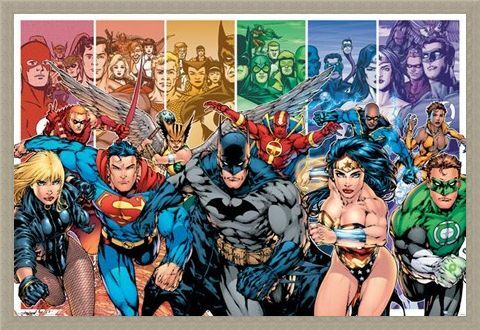 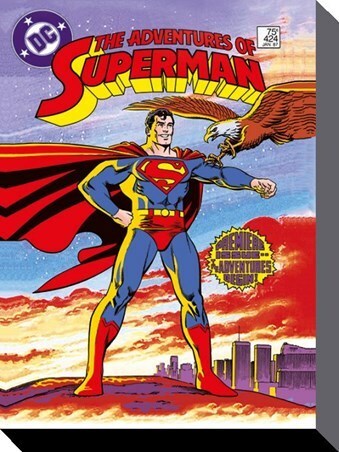 This is a must have maxi poster for fans of the iconic comic book series. High quality, framed Justice League of America, DC Comics poster with a bespoke frame by our custom framing service.